When it comes to picking a latest style engagement ring, there are many options. Some like to go with traditional style rings, many looks for the astrological effect of gemstones and some follow the celebrity trends. But if none of the above options are appealing to you why not look to the current reigning online trends to guide your decision? In the year 2018, we have seen that non- traditional designs were preferred. 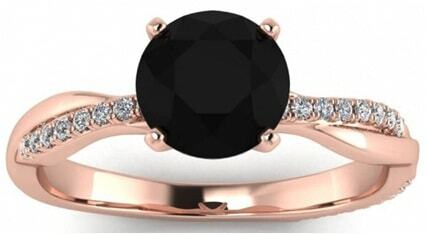 The choice of gemstone, metal and style were the essential factors apart from the 4C’s to choose a perfect ring. The trend of contemporary designs such as mixing the metals, trio designs, using multi-color gemstones, elevated designs are among the numerous styles seen in the range of modernDiamond Engagement Rings. 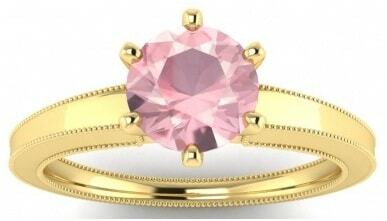 The use of multi-color gemstones is getting more attention, bringing color to the engagement arena. The gemstones like Ruby, Emerald, Aquamarine, Morganite, and Sapphire are used as the centerpieces which are beautifully carved in various styles. The entire beryl family gemstones are becoming the latest choice of young couples. The birthstone engagement rings such as an Aquamarine Engagement Ring for March born brides and grooms are also the latest trend for 2019. Pear cut gemstones are identified by their soft curves and pointed asymmetrical bottoms. They combine the brilliance of a round cut with the uniqueness of a marquise shape, Pear cut engagement rings are a beautiful blend of eccentricity and sophistication. In 2019, the gemstones such as Aquamarine and Morganite carved beautifully in yellow, rose, white and black gold will be available at jewelry stores. You can commemorate your love with a remarkable, peer cut Gemstone Engagement Ring that will transcend time itself. The bold and statement-making mixed metal rings reflect your unique living style. The mixing of metals is a great way to create a set of customized rings. Typically, the trend is to mix two metals such as yellow and rose gold, white and rose gold, black and yellow gold, tungsten and cobalt. Contemporary brides love the look of mixed metal engagement and wedding rings in pairings that haveextra brilliance. This makes them a charming and desirable engagement ring. However, you can even mix more than two metals, but before picking and combining them, check their durability. A unique band and setting can make your engagement ring feel unique, current, and fashionable. You can choose a dazzling ring in styles such as criss-cross, french cut, bezel set with gemstones to design a gorgeous engagement ring. Ovals and other elongated cuts tend to look much longer than the size. There can be variations in oval cuts. A bow ties oval stone will have an extra glow and getting the perfect shape requires real talent; sofocus on finding the smallest bow tie possible. 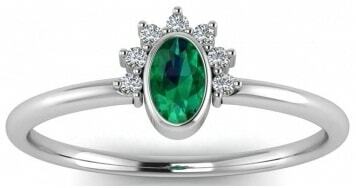 An oval shaped gemstone with the knife edge band would be an ideal combination of classic and modern style. People are moving away from classic round designs. The modern brides are requesting unique cuts, such as shields or trillions, as well as imperfect stones, which instantly make a classic design feel a bit different. The swirls and inclusions in this gray diamond ensure your engagement ring will be one-of-a-kind. The black and yellow gold band with the names of bride and groom carved inside is an elegant and exclusive ring style. Aquamarine, Morganite, Sapphire, Ruby are the famous gemstones, used as a center piece. However, many other gemstones with colors such as neon colors are trendy. Apart from these styles, gemstones are found in a variety of colors which tickle your fantasy. With these extensive options, you can create an exclusive engagement ring design. An engagement ring with two stones looks outstanding and best suited for a fashionable couple. 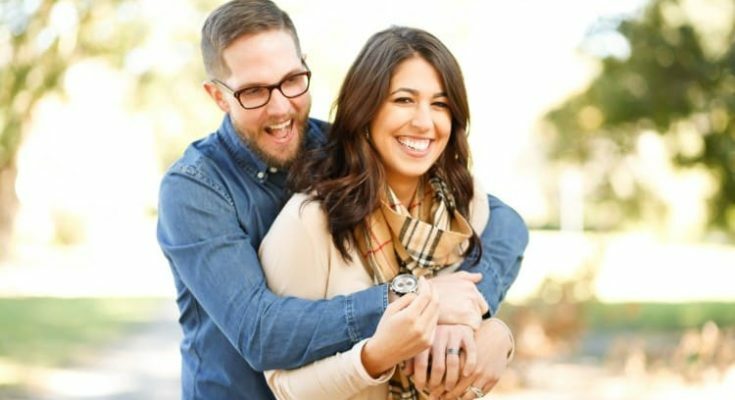 Modern couples have shown an inclination towards this style in 2018, and the trend is continuing even in 2019.Those who are looking for an unconventional style will like the length and shape created with the use of two focal stones. They can be the same or in combination. 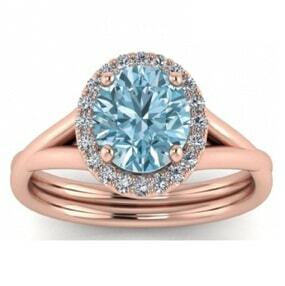 The combination of Morganite and Aquamarine with yellow or rose gold will be a classic style. A spin on the classic engagement ring, this exclusive design is made with two gold bands to adjoin an engagement band harmoniously. The group represents the state of true love. You can make it look more elegant by choosing a gemstone like Sapphire as the center piece. The band can be of the same metal, or you can even select different colors. To make it look more elegant, you can choose two color gemstones, small pieces to wrap around the ring circle instead of using one center stone. If you are looking for an exclusive engagement ring of modern style, the tip to choose is a premium quality gemstone from a renowned jewelry store such as Braverman with certification and warranty. 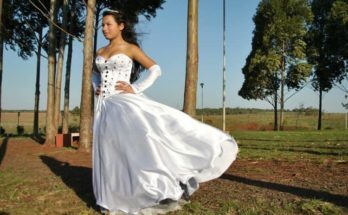 Go for a unique customized style which suits your personality and reflects your thoughts to express your love!